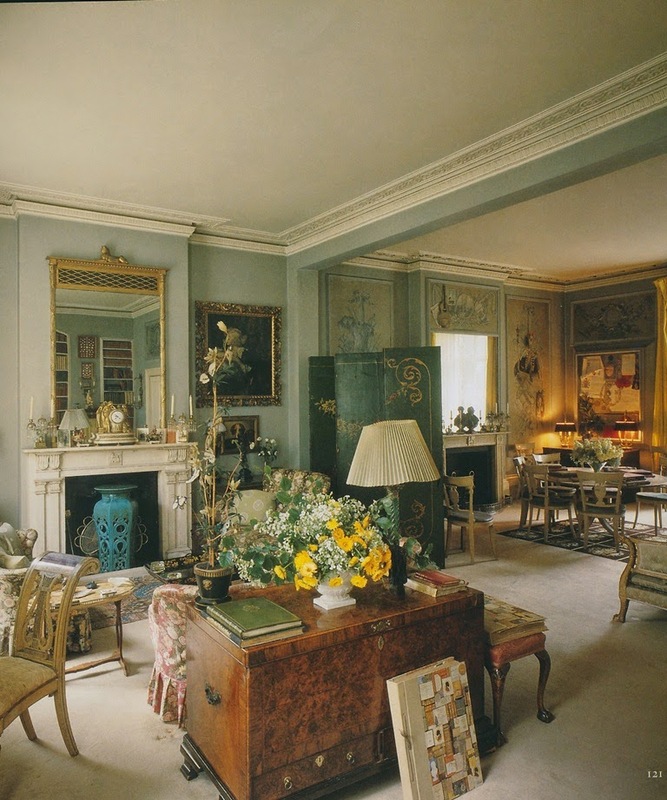 I recently read Darling Monster: The Letters of Lady Diana Cooper to Her Son John Julius Norwich 1939-1952. (The book has not yet been released in the U.S., but you can do as I did and order it from the U.K.) At 465 pages, the book might seem like it would be a bit of a slog, but it really isn't. It's a brisk read that is delightful and entertaining. In fact, I'm now anxious to read Diana Cooper's autobiography, although that will have to wait until I plow through the waist-high stack of books next to my bed. Darling Monster prompted me to revisit the 2006 publication, Rooms, which featured Derry Moore's 1984 photos of Cooper's London flat. 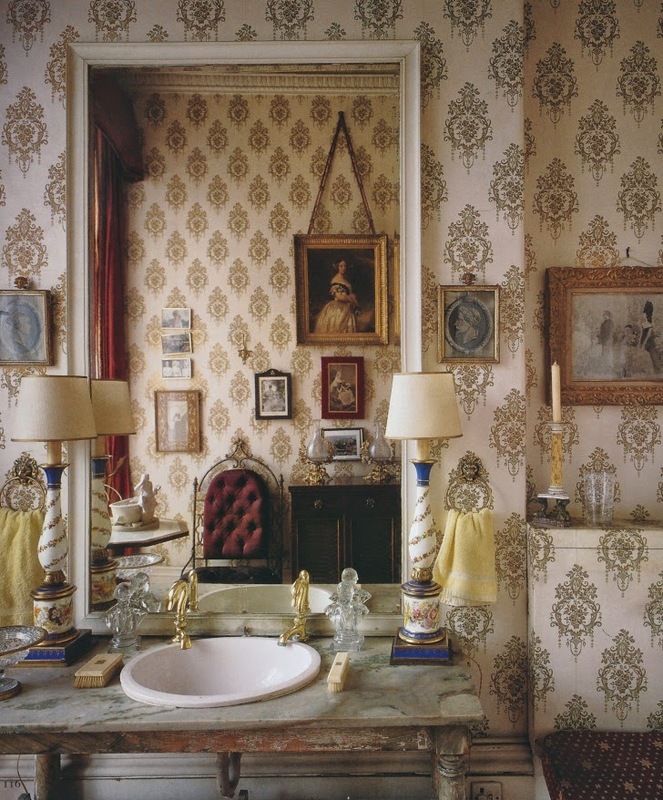 I showed these photos on my blog many years ago, but it seems worthwhile to take another look as they capture the mementos- and attractive ones at that- of a life lived to the hilt. Although I appreciated these photos when I first saw them a number of years ago, I now have a greater understanding of some of the photos' details thanks to Darling Monster. For example, that seemingly incongruous yachting cap that Cooper is wearing in one of the photos? It seems that this wasn't a one-time occurrence; she referred to wearing just such a cap in a number of her letters to her son. 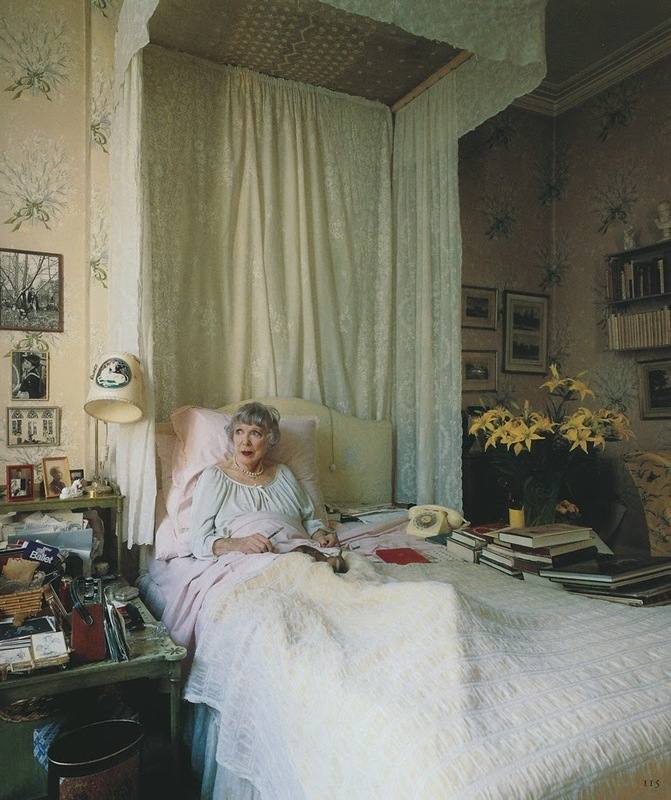 And now I know that she wrote much of her correspondence from her bed, just as she seems to be doing in a different Moore photo. 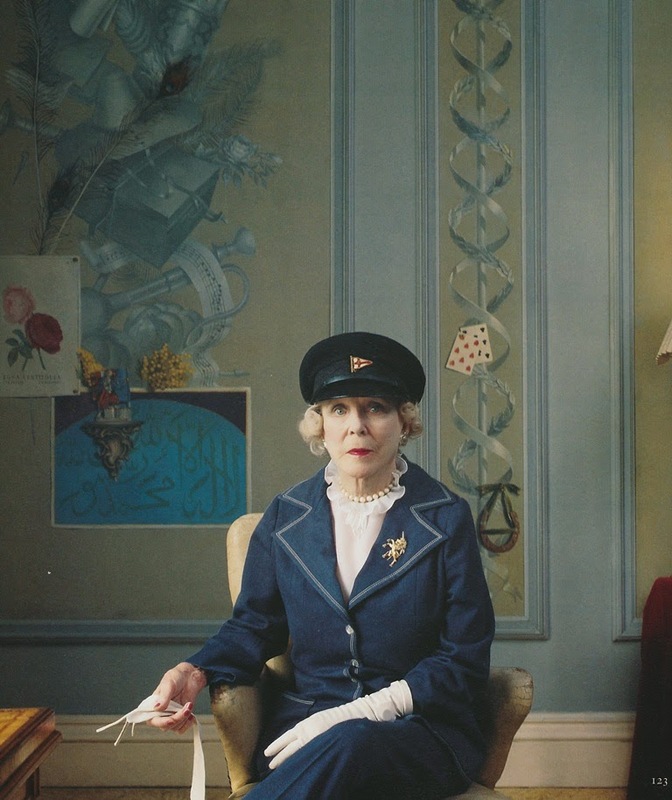 While Diana Cooper's home might reflect her personality, it is her letters and written remembrances that truly capture it. If Diana Cooper's home piques your interest, then by all means consider reading Darling Monster. To purchase a copy of Darling Monster, visit Amazon or Barnes & Noble. *The caption that accompanied this photo mentioned that Cooper's trompe l'oeil panels had been painted by Rex Whistler. 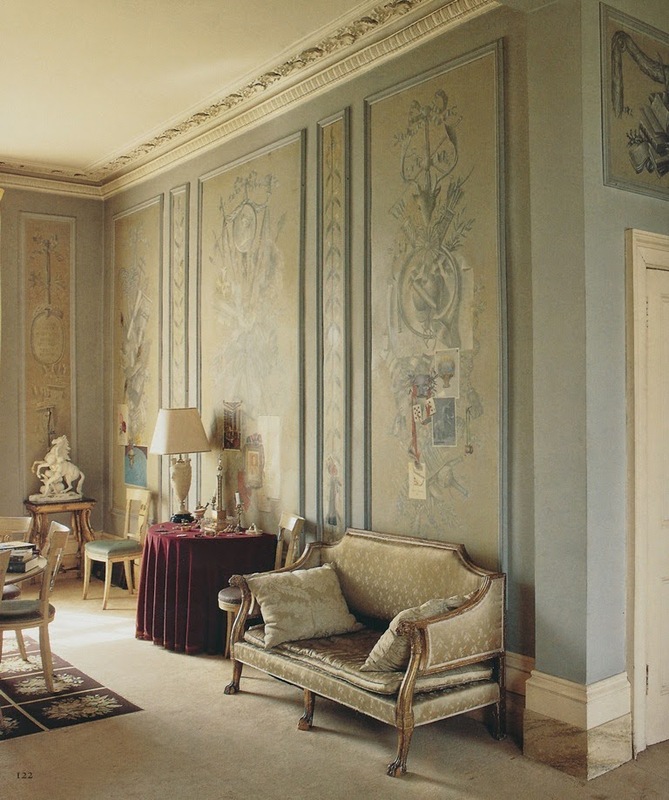 As John Julius Norwich noted in Darling Monster, the panels were in fact painted by Martin Battersby for the Coopers' Chateau de Chantilly. 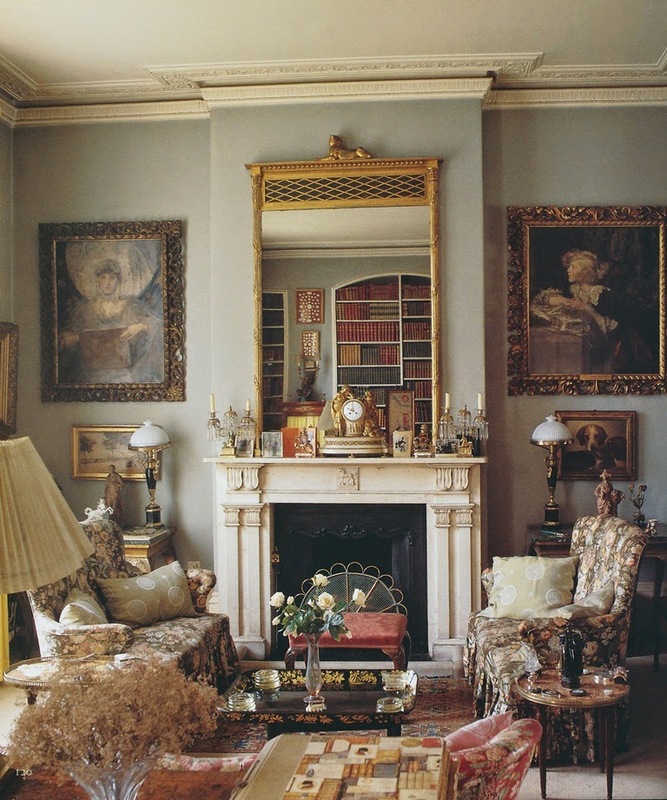 The panels were later moved to Cooper's London residence. All photos from Rooms by Carl Skoggard, Derry Moore photographer. How funny! Diana Cooper must be in the air! Letters between these two must be an interesting read. Cooper's son is the more famous of the two – as a radio personality and an author of brilliant books. Absolute Monarchs: A History of the Papacy and A History of Venice come immediately to mind. The Martin Battersby trompe l'oeil painting is fantastic! 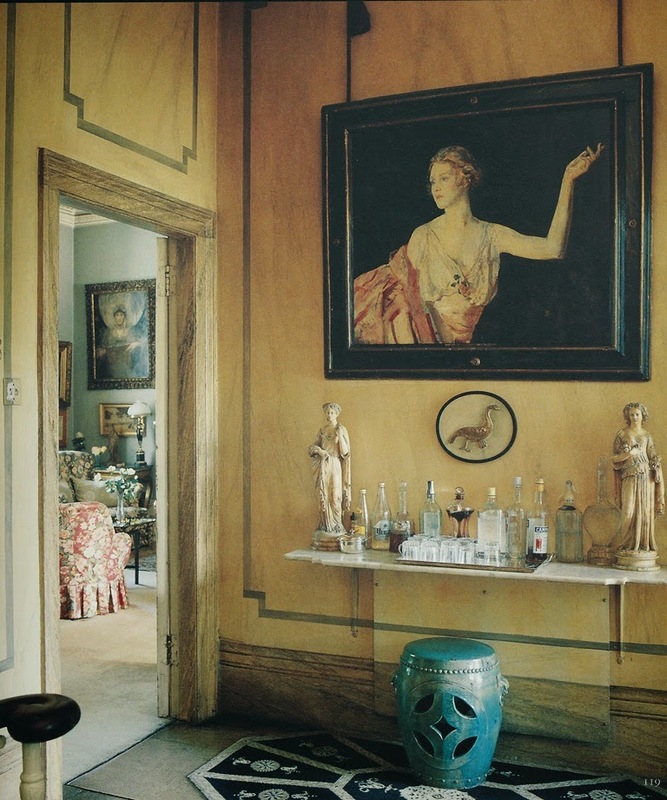 I'm in love with this home--decorated, not designed, with the treasures of a rich life. So perfect! Her autobiographies are an absorbing read, indeed. I read them many years ago, and recall them vividly still. Her recollections and experiences are/were awe-inspiring. She lived a full, well-lived life, among the best and the brightest. Of many generations. To bring it closer to the present day, according to Anjelica Huston's very interesting recent memoir "A Story Lately Told”, John Julius Norwich was the father of her younger sister Allegra (who also wrote a memoir.) Anjelica and Allegra’s mother was Enrica “Ricki” Soma, who had “the expression of a Renaissance Madonna, a look both wise and naïve” - Anjelica's description. John Huston was married to her from 1950 until her death in 1969. Anonymous, I just learned this fact last week. Most interesting! It seems that I need to add the Huston sisters' memoirs to my reading list.